Brief Description: The DOC Skimmer 9430 features a very compact design, quality construction and exceptional performance. 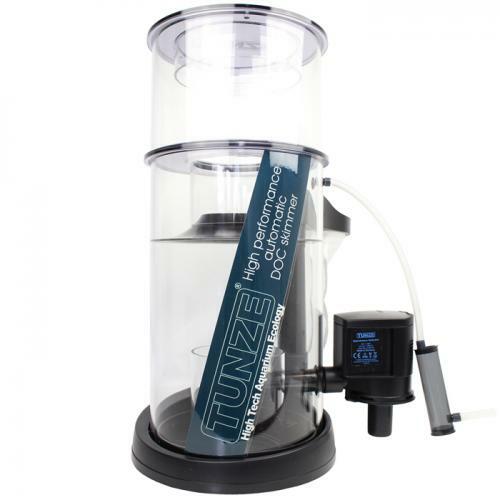 It is ideal for installation in aquarium cabinets and comes complete with a TUNZE® Hydrofoamer pump that ensures proper foam production and water circulation. For aquariums up to 792 gallons. Notify me when "Tunze Comline DOC Skimmer 9430" is re-stocked. High skimming action at a low wattage. Can be used in sumps with fluctuating water levels (3.9" - 7.9") without affecting performance. Patented anti-overfoaming system prevents overfoaming of the skimmer and regulates skimming action. Removable post-filter: helps to eliminate micro-bubbles and can be used to hold fitler media (such as carbon or GFO). 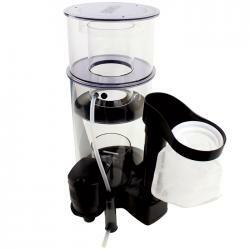 Simple cleaning: Skimmer cup and foam reactor are one unit. Very quiet peration with Hydrofoamer Silence. Robust construction with high-performance pump. Recommended for aquariums up to 3,000 litres (792 USgal.) of salt water. Immersion depth from 100 to 200 mm (3.9 to 7.9 in.) without needing adjustments. Water flow rate: 1,600 l/h (422.7 USgal./h). skimmer cup volume: 2 l (.52 (USgal. ).